Finally Microsoft has released the Windows 8 Consumer Preview beta version for general public users. 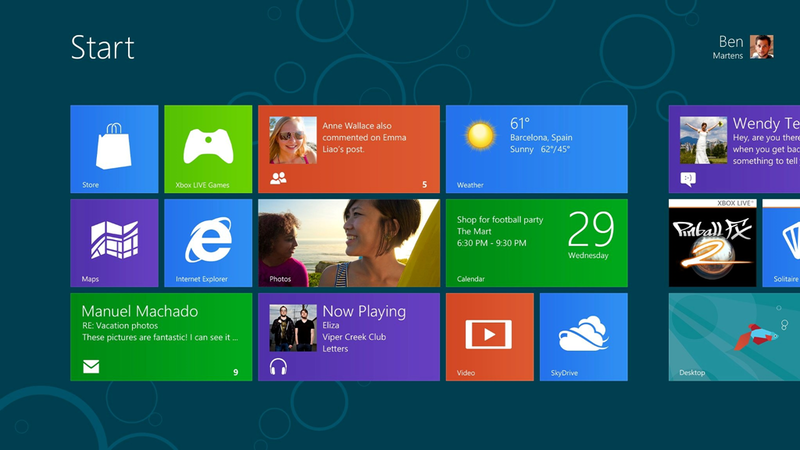 The Windows 8 preview for consumers is now available for download directly from Microsoft Servers. Windows 8 consumer preview will represents the first look of Windows 8 final builds, as the name indicates the Windows 8 is intended to let general consumers try out the new Microsoft Operating System. The previous released version of Windows 8 Developers Preview has been locked down and only provided access to a limited feature for users. Windows 8 consumer preview is not a final release of Windows 8 and as such may have many bugs or other problems that can cause your system to crash or applications to hang. So you have to take backup of your current Operating System before try to install Windows 8 consumer preview. One interesting requirement is that all Metro apps have to run with at least a 1024x768 screen resolution or in 1366x768 resolution if it uses the snap feature. If you attempt to run a Metro app at less than 1024x768, you will get an error message.